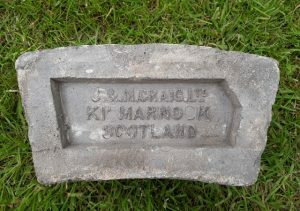 Found by Michael Fallone at the Eagle Pottery, 60 Boden St Glasgow during demolition. 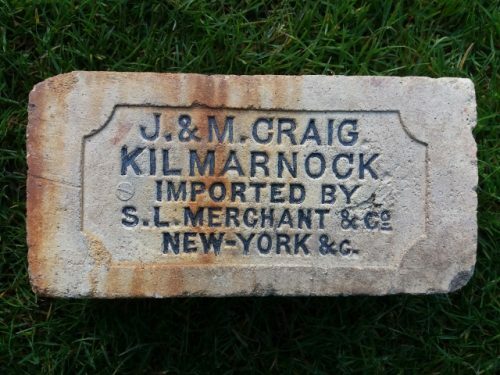 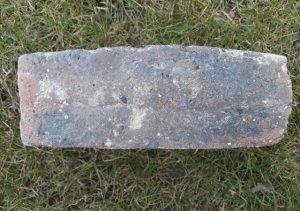 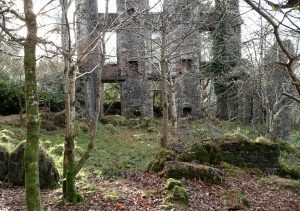 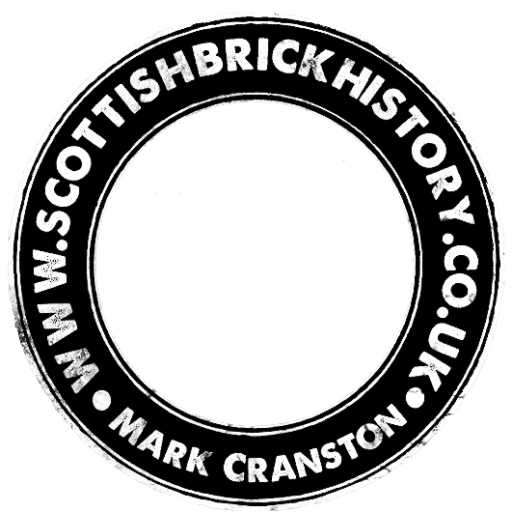 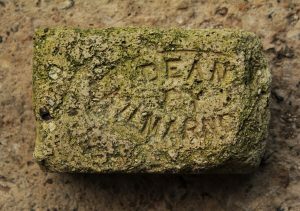 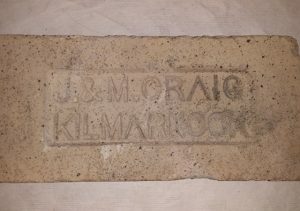 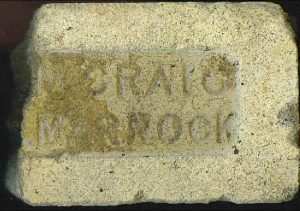 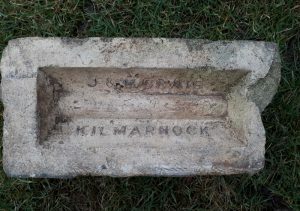 The brick came from the same wall as the date stone – 1869. 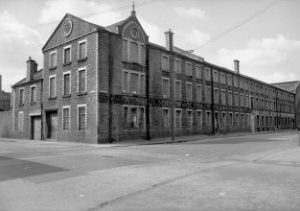 Eagle Pottery – founded 1869 – demolished 1989.